Particle effects lost their connection to their emitters during state switches, e.g. when a plane turned left or right. Therefore they stayed on screen forever. Particle effect emitters can be rotated now. There was quite some work regarding particle effects this week. Next Wednesday there should be some new patrol boats tearing around. In the meantime feel free to subscribe to Nordenfelt’s RSS feed or follow me on Twitter at @black_golem. Let’s have a look on what happened during the last 7 days. The list of available equipment is listed on the right panel. Buying and equipping the ship is done on the left panel. Everything works but it’s not as intuitive and fluent as it should be. More tweaking needed. GUI part positions are hard-coded in Nordenfelt. This is quite bothersome when trying out different layouts. 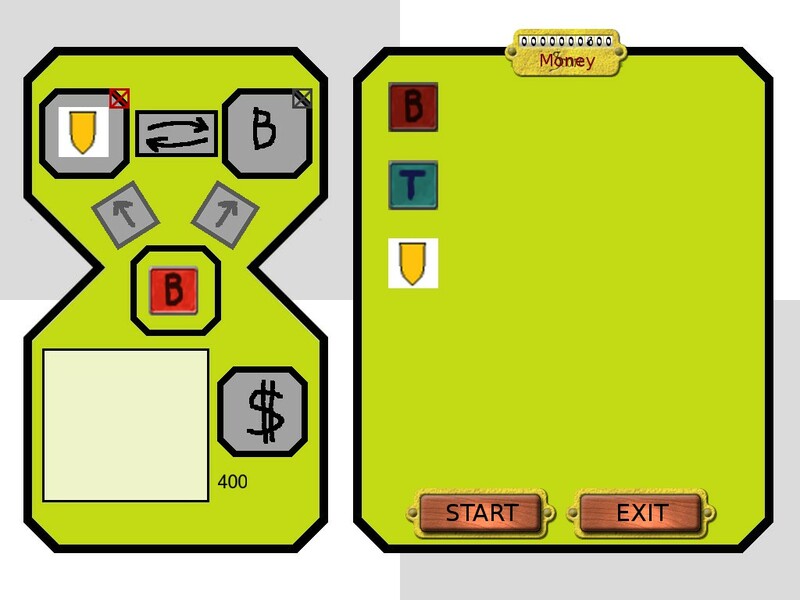 Therefore I’ve added the possibility to drag around GUI parts using the right mouse button. This was an interesting one, only visible at low frame rates. E.g. the player ship and its shield where out of sync when it was moved vertically. Due to the steampunk setting there will be many exhausts blowing out steam and smoke. Their definition is data-driven now and can be set in the corresponding XML files. That’s it for the first regular entry in the dev log series. See you next Wednesday for dev log 2. Much silence on this site during the last few weeks. Man, I hate not having new stuff to show. There are enough changes under the hood. Nothing fancy but there is work going on all the time. So why don’t tell you about that? Simply because there is nothing tangible to show. Just words. There are these great guys over at Wolfire logging every little detail to the public. They use videos to illustrate the changes which often are marginal. They don’t wait until they finished a level or completed a character model. Everything they do leaks to their audience regardless of importance. That’s not bothering people as I thought initially. It’s steady information. When you fire up your feed reader and don’t want to check out Wolfire’s changelog simply filter or delete each of their posts ending with “video changelog”. Information noise stopped. Following Wolfire’s example I’m starting Nordenfelt’s regular development log. Wednesday becomes Nordenfelt dev log day! Don’t expect many videos and screenshots. Most entries will just be textual. When there is something new going on visually you’ll be the first to know. Why doing something by hand when you can automate it? 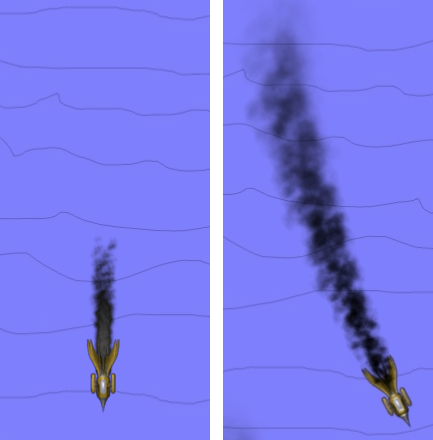 Many shmups use fixed patterns for power-up distribution. Now there is a data-driven system which decides if a destroyed object leaves a power-up. No longer placing them via editor. Drop shadows of flying objects depend on flight height and position. The higher a plane flies the smaller and more transparent its shadow has to be. So the new flight height graph defines how drop shadows will look like. Nordenfelt excludes equipment decisions from the battle field. Weapons, shields or bombs can be bought and equipped between levels. If you have earned enough cash throughout the levels so far. According to new equipment all levels have to be adapted accordingly. Nothing more to say at this point. That’s it for the first entry in this dev log series. See you next Wednesday for dev log 1.